When a Dutch backpacker befriended a little girl without shoes outside Antigua in 2006, he teamed up with his Guatemalan Spanish teacher to do more than just donate a pair of shoes. More than ten years later, that one pair of shoes has evolved into 500 little pairs of feet - representing all the children who study at Niños de Guatemala’s three schools each day. Niños de Guatemala, or “NDG”, is an international nonprofit dedicated to education, empowerment, and entrepreneurship. In a country where the government spends just 3% of the national budget on education, access to quality learning is a challenge for the majority of Guatemalan children. Without proper education, children can not access higher-paying jobs or opportunities, continuing the inequity and poverty that cripples so many futures. NDG’s three schools provide more than 500 children, from pre-kindergarten through middle school (adding a high school certificate this year), with quality teachers and classes, a nutritious daily snack, and ongoing family support. Social workers and psychologists partner with families to educate and understand each family’s needs, improving trust and student performance. We are proud of our high retention and graduation rates, and proud that many of our students are the first in their family to finish elementary school, middle school, and more. With the launch of the “Skills for Success” program this school year, NDG is focusing on providing students with the tools they need long-term. These include emotional intelligence, Spanish literacy, mathematics, technology and English language skills - key components for success in school, work, and life. After more than 10 years of rampant growth and successful programming, 2019 is a pivotal year of quality for NDG. With a new Country Director and experienced management team, NDG is ready to bring Skills to Success alive. Niños de Guatemala, much like many mid-size nonprofits in Latin America, faces many unique challenges and opportunities in the coming years. Philanthropists often see the struggles tiny nonprofits face; the one (wo)man show, where the few, passionate employees do it all - answering emails, planting gardens, filing legal paperwork, teaching students, fundraising. It’s not easy. But midsize groups face similar challenges, even if they aren’t quite as visible upon first glance. With the exciting growth of programs (yay serving more children!) comes the need for even more infrastructure and “behind-the-scenes” support. From databases to track student progress to employees with the expertise and knowledge to implement more advanced programming, mid-size nonprofits, too, need investments in people and tools to survive long-term. 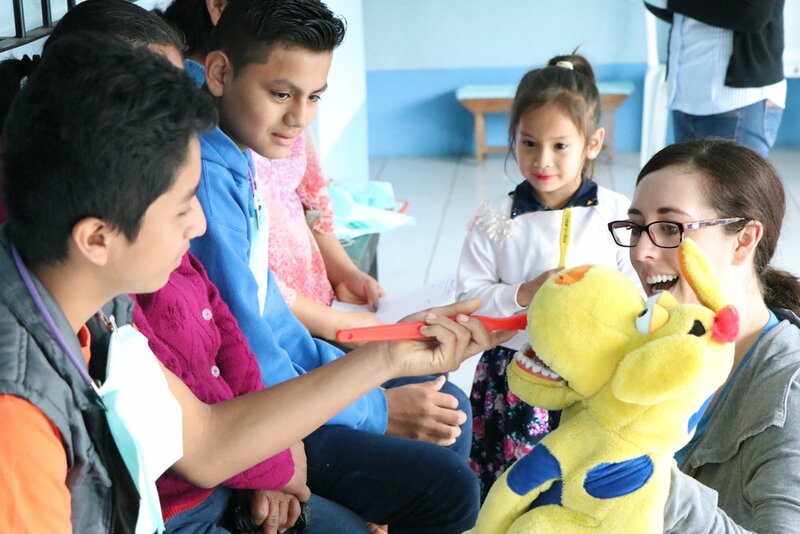 More than expansion, organizations like Niños de Guatemala need investments to stabilize and improve quality for the best outcomes for our children. Additionally, medium sized nonprofits need the expertise of committed long-term volunteers and partners. Volunteers can have a huge impact on an organization’s effectiveness. Passionate individuals willing to devote free time as Board members can help plan strategy and assist with fundraising for sustainability. Companies and groups can step in to help with day-to-day program needs or infrastructure projects. Even one or two additional committed individuals can help take the weight off staff and improve program impact. By partnering with staff and learning the genuine needs of the organization, volunteers can help mitigate some of the underlying infrastructure issues that continue creeping up on growing nonprofits. With so many goals for our students, from incorporating daily technology to providing more intensive, ongoing training to all teachers, it’s critical to partner with the community for support. Sponsor a child’s education, ensuring each of the 500 children have a champion, advocate, and long-term partner supporting their education. Volunteer to support dual-immersion English programming and technology courses. Invest in infrastructure like servers, databases, and staff training. Bring committed groups to visit and understand our mission and long-term vision. Together, we can make sure that all 500 children in our schools go on to share their own stories of success. Hopefully, they, too, will be able to give back to their community as partners one day. Maribeth Waldrep is the Head of Fundraising at Niños de Guatemala. With over eight years of experience directing fundraising efforts at educational organizations in Colorado, USA, she is committed to raising awareness about the needs of the nonprofit sector. A dedicated advocate for education, children, and families, she loves making connections with people and sharing her enthusiasm for Niños each day.